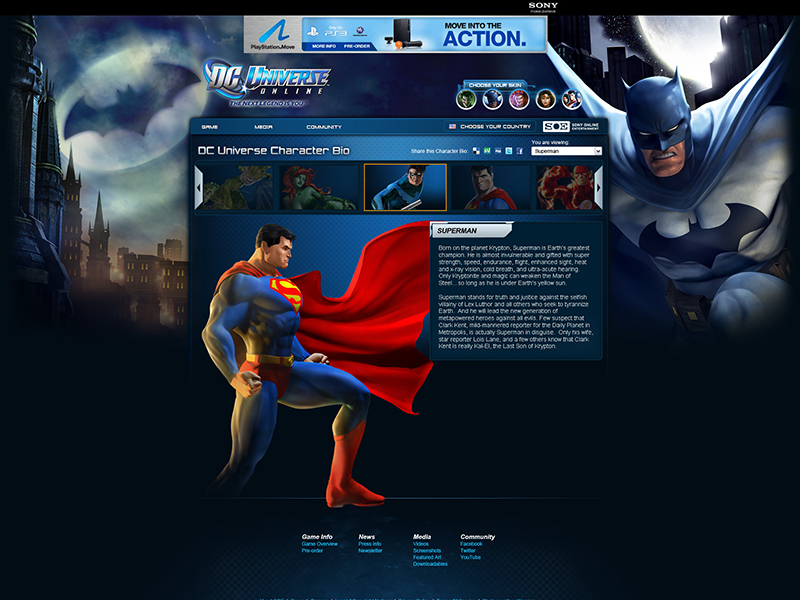 DC Universe Online is still one of the largest game titles for Sony Online Entertainment. 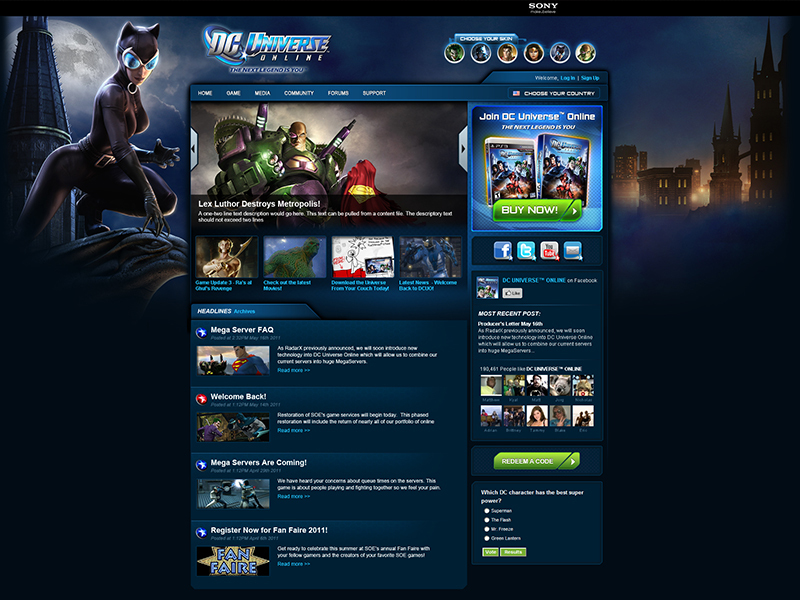 I got to design their website and supporting pages. 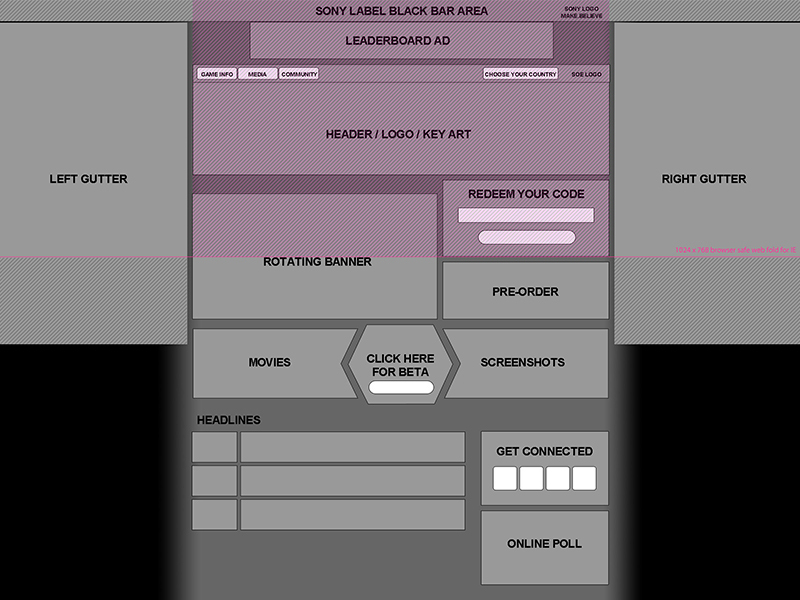 This wireframe was the first mock-up of how the site might look. 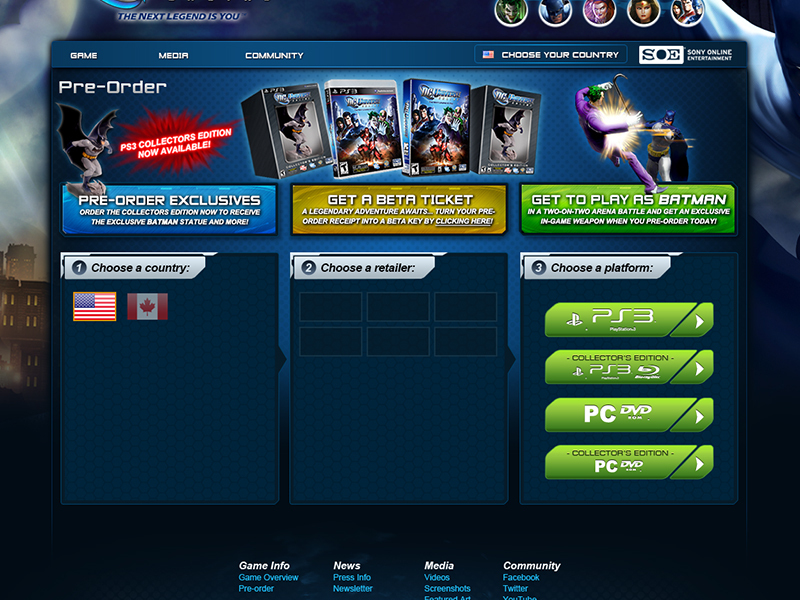 It has seen several adaptations and flow changes given the updates to the game and the in-game purchase options. 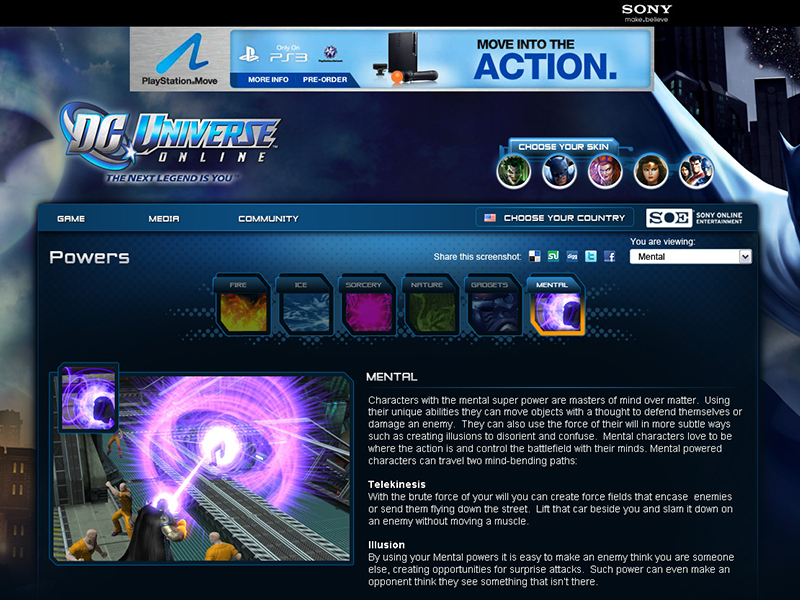 These would then become features of the site, and depending on whether or not there was an expansion of the game sometimes the site would change altogether to make it feel new and promote the feature in an exciting way. 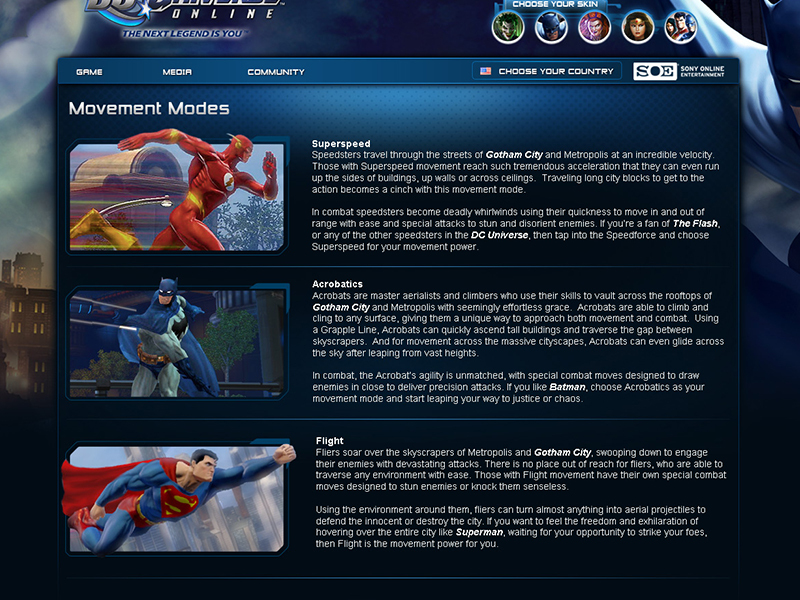 These are some of the features I was a part of building. These were then sent off to DC Comics, Warner Bros. and Jim Lee for approval, or I iterated on changes that were kicked back to us.